We want to be as transparent as possible with our users and believe they should be fully informed before applying for a payday loan. Below we have addressed many of your questions and concerns about what payday loans are, how to use our system, and applying to a lender. A payday loan is a short-term loan that is due to be repaid in full, no later than 30 days after it is issued. This differs from other types of loan that are repaid in installments over a longer period of time. Payday loans also come with a flat interest charge that is taken with the repayment. Payday loans were designed to help those who have run out of cash before their next paycheck is due. That’s why they are sometimes called a cash advance because they are like an unofficial advance on the borrower’s wages. Despite sometimes getting a bad rap in the media, payday loans are completely legal in the United States and are heavily regulated at the state and local level. Depending on where you live, this means the amount you are allowed to borrow, how much can be charged in interest, and other terms, are limited by the law. We only partner with licensed and reputable lenders and will never make misleading promises like "no credit check" or "instant approval." Before you sign any agreement, the lender will provide you with a full copy of the terms, which is required by law. There is no pre-defined person that a payday loan is intended for and you are not required to spend the loan in a certain way or even disclose your intentions. However, as the name suggests, payday loans were created to help those who are struggling with their finances before payday. For example, you may receive an unexpected bill or need to buy something right away, but have already spent this month’s budget. Instead of waiting for your next paycheck to cover these expenses, a payday loan will give you cash up front, which you can then repay when you get paid. Payday loans are not for people who need to borrow large amounts over a longer period of time. Whether you are approved or not will depend on the lender’s internal criteria at the time, however, there are only a few basic requirements to get started. You must be at least 18 years of age, be employed or otherwise have a stable source of income (of at least $1,000), live in the United States with a fixed contact address, and have a basic checking account where the loan can be deposited and the repayment automatically taken on the agreed-upon date. If you meet these requirements you are free to use our loan request service and if matched, will be able to complete an application with a lender. You are not necessarily required to have a job to get a payday loan, but you are required to demonstrate that you have a stable source of income. This will usually be from employment, but could also be from self-employment, pension, disability or other welfare payments, income protection insurance payments, or other sources. You may be required to provide statements and other documentation to a lender to verify your income status. If you have digital copies of these, they can be attached and you will not need to fax them. The lenders in our network offer payday loans of between $100 and $1,000 to ensure that the average person is capable of making the repayment. When you use our loan request tool you will be able to choose the amount you desire. However, the exact amount a lender might offer you will depend on the information you submit with your application, your personal financial situation (i.e. your income), any credit checks carried out, and the lender’s internal criteria at the time. They will aim to offer as close to the amount you choose as possible, without repayment becoming a risk. Yes, you are not automatically barred from requesting a loan through our service or applying with a lender if you have a poor credit score. This may ultimately affect whether you are approved and the terms offered, but all applicants will be fairly assessed regardless of a credit check. Lots of factors go into the final decision, including your employment details, income level, and other information provided in the application. Note: We are not a lender and you will not be given a credit check until you are connected with a lender. No, we are not a lender ourselves and make no decisions regarding whether a loan should be issued or the terms of that loan. Our useful service takes your personal information and attempts to connect you with one of over a hundred payday lenders in our network. This saves you time from having to find lenders and apply with them yourself. No, our loan request service is completely free of charge. To begin the application process, simply navigate to our loan request tool, choose the amount you wish to borrow and enter your personal information. We will then attempt to connect you with a lender from our network, which should only take a few minutes. If connected, you will be sent to the lender’s page to complete the application. You will know onscreen if you have been approved by the lender. You will also be given an online copy of the terms before digitally signing the contract. The entire application process can be completed online with any device that can browse to our page. Do Lenders Check My Credit? Yes, the majority of lenders will carry out some kind of credit check (even if it’s not via the big through rating agencies). However, this will only be done once you are connected with a lender. We do not carry out credit checks on their behalf. The good news is that you are not automatically disqualified from applying for a loan if you have bad credit and many factors are taken in to account when a lender makes their decision, not just the result of the credit check. Beware of lenders and websites that promote ‘no credit check,’ as this is usually misleading marketing language. No lender will guarantee approval. If you meet the eligibility requirements and provide all of the requested information, you stand a good chance of getting a loan, but there may be rare circumstances where a loan cannot be extended at that time. However, in general, getting a payday loan online is much easier than getting a loan from the bank or a traditional lender. The approval process will not be instant as lenders need to perform a credit check and do an internal assessment, however, the process is automated and should only take a few minutes if your information is easily verifiable. You will know onscreen if you have been approved or if you need to provide added documentation. What if I Change My Mind during the Application? You are under no obligation to accept a loan offer and can end the process at any time by closing the page in your browser. The loan is only issued once you digitally sign the contract, at which point the deposit process will begin. Note: When you submit an application with a lender, they will carry out a credit check. This will be noted on your credit report for other lenders to see. When Will I Get the Cash? Once you have signed for a loan the lender will begin the deposit process as soon as possible. You are required to provide your bank account details during the application to speed up this process. This account must have functioning checking facilities and be in your name. In most cases, if you apply during the working week, you can see the cash in your account the following morning. Note: Transfers do not always go through at the weekend or during certain national holidays, so remember to plan your application accordingly. If there is a problem with the deposit you will be contacted by the lender right away. Your payday loan will come with a single finance charge, which will be taken alongside the repayment on the designated date. The cost of this charge will vary depending on your application, the individual lender’s policies, and state regulations. To learn more, please visit our rates and fees page. If you miss the repayment you could be faced with further charges. These will be outlined in your copy of the terms and agreements. Payday loans are repaid in one lump sum (along with a single finance charge) on a date specified by the lender. This will usually be no longer than 30 days after the loan is issued because it’s designed to cover you until your next payday. The payment is taken automatically from the bank account you provided when applying. Lenders do not currently accept payment by check or other methods. To ensure you don’t go overdrawn and face bank charges, remember to have enough funds in your account on the agreed-upon date. Can I Extend or Renew my Loan? Extension and renewal policies depend on the individual lender and local state regulations. Check the terms of your loan or contact the lender for further details. What if I Miss the Repayment? If you miss the repayment you could be faced with added fees and interest. You should contact the lender right away if you believe you are unable to repay the loan to discuss your options. Failing to start a dialogue may result in collection proceedings and the debt being passed on to a collection agency. You may then be faced with emails, phone calls, letters, and home visits, in an attempt to recover the debt. Your credit score will also be negatively affected. By submitting an application with a lender a credit check will be carried out, which may be recorded on your credit report. Successfully repaying the loan on the agreed-upon date may positively affect your credit rating, as it is a sign to other lenders that you can meet your obligations. Likewise, failing to make the repayment may negatively affect your credit rating and make it harder to obtain credit in the future. We and our lenders use the latest encryption technology to ensure your personal data is safe and secure. We never pass on or sell your details to third parties. I Have a Question about my Loan, who should I Contact? 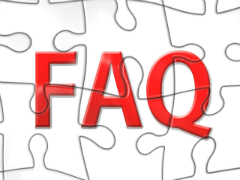 All questions regarding a loan you have already taken out should be directed to the lender. If you have any questions or concerns about our website, you can contact us.